FINALLY, my 50th post, I'm sososo happeh! I started this blog last Dec. 14, 2012 and it's been such a blast! Seeing this blog grow has given me so much joy. There's been so many changes on this site and I still have so many ideas. I'm always trying to improve my writing, photography and web skills. None of it is a burden and I love everything that I'm doing! To celebrate, I'm doing a giveaway! This isn't sponsored in any way. I just bought one for me, one for my sister, and upon demo, found it great enough to buy another one! HEY. It was on sale, and I didn't get into the February SaladBox list. I happened to be there, with extra money and a good product. Clue #1 on post #48: The brand reminds me of a brand of chocolates. Clue #2 on post #49: I revealed the brand of chocolates to be M&Ms. Sooo? Has anyone guessed it yet? TADAAA! Yes, I'm giving away a Majolica Majorca (MM, get it?) Lash King in Black to thank my dear readers. I'm soooo in love with this! It's like a fiberwig / lash extension. 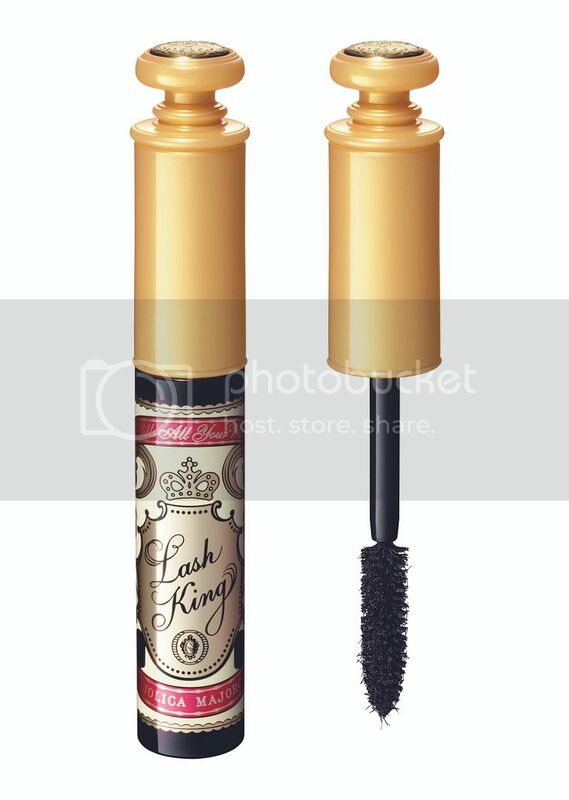 Totally different from your regular lengthening mascara! I'll even cover shipping yo. Don't be greedy, though. The other one is mine! P.S. for residents of the Philippines only, btw!